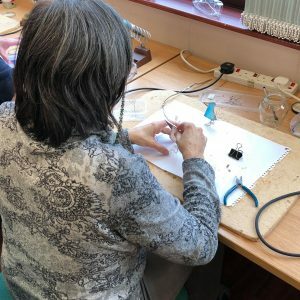 Work with the vibrant and glowing colours of handmade glass to create your own unique piece of work. 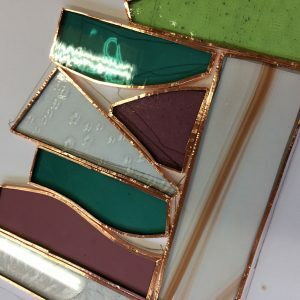 Our tutors from Strawberry Glass will teach you the traditional technique of copper foiling which is ideal for making decorative panels and suncatchers. 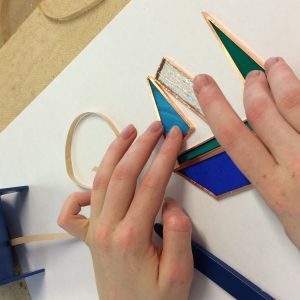 Copper tape and solder is used to create a seam joining the pieces of glass you have chosen from our wide selection. 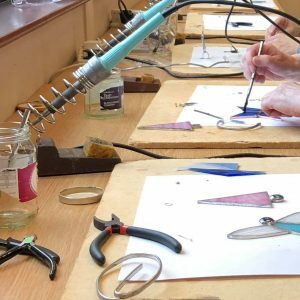 The workshop will take place on Saturday 6th July from 10.30am till 3:00pm. Tickets cost £55 per person. This workshop is suitable for ages 16 and above. Under 18s must be accompanied by a paying adult. It is ideal for beginners or for intermediates who wish to build on their previous experience. If you are pregnant or breast feeding you should consult a doctor before booking as some of the materials used have a lead content.